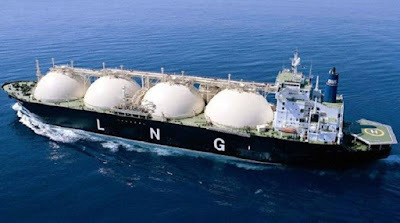 National oil and gas company, Kumul Petroluem Holdings Limited has signed a binding Heads of Agreement (HoA) with Total for the joint marketing and sale of their shares of LNG and condensates to be produced from the Papua LNG Project. Under the HoA, KPHL and Total will negotiate a Shareholders’ Agreement for an Incorporated Joint Venture (IJV) to be set up as the corporate vehicle to commercialise their combined production share of LNG and condensates from Papua LNG and jointly staffed by Total and KPHL. The IJV will engage potential Buyers of LNG in the Asia Pacific region for the long term sale and purchase of their respective entitlements of LNG in Papua LNG. Mr Wapu Sonk, Managing Director of Kumul Petroleum said: “This agreement to jointly market our share of the production from the Elk/Antelope field with Total, the operator of the field, will allow us to develop our staff while maximising the value brought to both companies by combining the attributes of KPHL with Total. Cooperating with KPHL in hydrocarbons joint marketing is a testimony of Total strategic endeavor to continue cementing the relationship with the national stakeholders to jointly create value in Papua New Guinea,” said Javier Rielo, president & CEO for Total Asia Pacific.